You need to increase your e-commerce sales… right now. Your need better site search. Searchers have a 2.7x greater conversion rate than visitors who don’t search. Searchers are your must-win shoppers. 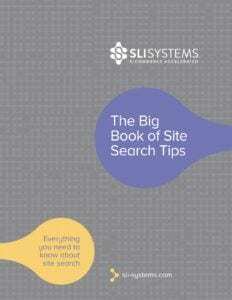 Grab the Big Book of Site Search Tips now.